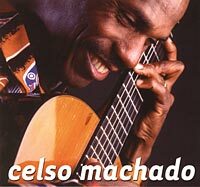 Celso Machado Is Music. He plays it, thinks it, lives and breathes it. He even cooks it! As a world-class musician and performer, he has mesmerized audiences around the world. From his native Brazil, he has travelled the globe and taken his excitement and versatility on guitar, voice and percussion to explorative and virtuostic heights. His discography includes numerous recordings of his never-ending repetoire of traditional Brazilian songs and rhythms; from Choro to Baião, Samba to Bossa Nova. As a prolific composer and self-made ethnomusicologist, he has explored and integrated the sounds of North Africa, Italy, Egypt and the Mid-East into a unique Brazilian musical expression. 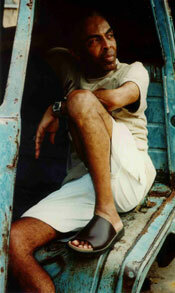 Celso's recordings"Jong Le" and "Varal and Capivara" have had Juno award nominations for best Global Music. Jovino Santos Neto creates a musical feast. After 15 years as musical director, performer, composer and producer for the Hermeto Pascoal Group, he joined, and recorded "Encounters of the Fourth World", with Airto Moreira and Flora Purim. 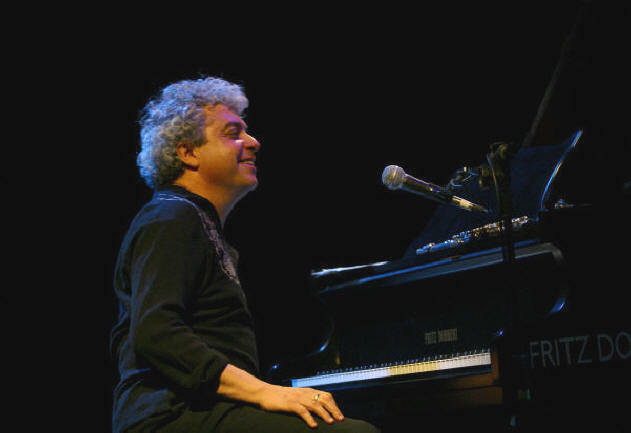 He now composes and arranges for his own Quinteto in the Pacific Northwest and released ""Caboclo" and "Ao Vivo Em Olympia" Jovino is a brilliant, intuitive and impassioned pianist and flutist, who merges his passion for his Brazilian roots with jazz and classical expressions. In 2001 he collaborated with guitarist, Richard Boukas on a driving and brilliant CD,"Balaio" ,featuring compositions by and dedicated to Hermeto Pascoal "...beautifully recorded samba fusion. His works are fused with the intense and energetic rhythms of Brazil." "Jovino Santos Neto, always a busy musician, surpassed himself this year and released two discs almost simultaneously: "Canto do Rio" with his Quinteto and "Serenata" with mandolinist Mike Marshall. The former is an album of the pianistÕs own compositions, while the latter is dedicated to the work of JovinoÕs mestre, Hermeto Pascoal." Jill Russell, a true blue West Coast woman, is a soul-felt Brazilian. After spending many years in the San Francisco and Bay area music scene; a hub of Latin and Brazilian music, she returned to Vancouver and met the real thing; Celso. As a duo and sometimes trio, they worked extensively together for 6 years touring all the major festivals across Canada and schools in British Columbia. Their recording "Musica do Brasil" reflects her facility with choros, frevos and baiaos. In 1995 her love of these styles led her to Brazil, where she met up and played with different Choro groups. Celso and Jovino both play on "Check The Beans" and Jill's playing on flute and alto sax expresses her understanding and passion for Brazilian Jazz.